Believe it or not, you can solidly support your electric guitar with a stand that folds down small enough to fit in your pocket. The D&A Gigstand Electric Guitar Stand enhances the safety and security of your instrument while also showing off your guitar properly. 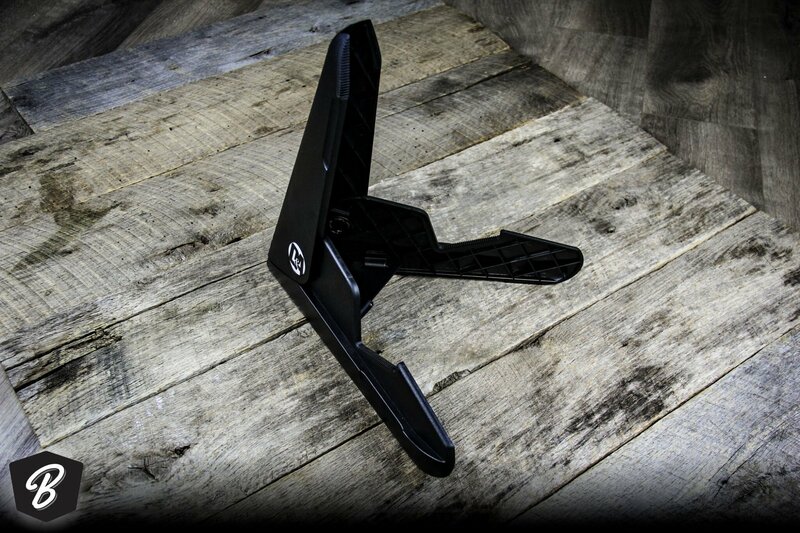 The Gigstand is lightweight, coming in at about 20 oz., and it folds down in just two steps to slide easily into your pocket or a gig bag. But it's strong enough to display your electric guitar securely, thanks to its lattice ribbing and reinforced joints. Plus, the Gigstand employs D&A's proprietary Grip Friction System on the stand's contact points — soft nodules of thermal plastic elastromer (TPE), a polymer that's safe for all guitar finishes — which virtually eliminates the possibility of slippage.